I am a conservationist with an interest in the human dimensions of human-wildlife interactions and, ever since my doctoral work at the WildCRU on the “Human Dimensions of the Conflicts between People and Jaguars in Brazil”, I have been dedicated to the dissemination and strengthening of conservation social science and its application to conservation practice. My doctoral research aimed at understanding the social and cultural reasons why people kill jaguars. The results of the research were then used in the design of education, communication and outreach interventions to improve the relationship between people and big cats and increase support for their conservation. Interventions were carried out through Escola da Amazônia (School of the Amazon, www.escoladaamazonia.org), a project that I founded in 2002 and for which I received the Whitley Award 2007. My work has since involved a variety of human-wildlife conflict issues, including big cats and ranchers in Brazil, Bolivia, Argentina and Mexico; sea lions and fishermen in southern Brazil; wild boars, capybaras, tapirs and farmers in agricultural landscapes; and coatis, marmosets and visitors in urban parks and protected areas of the Atlantic Forest. 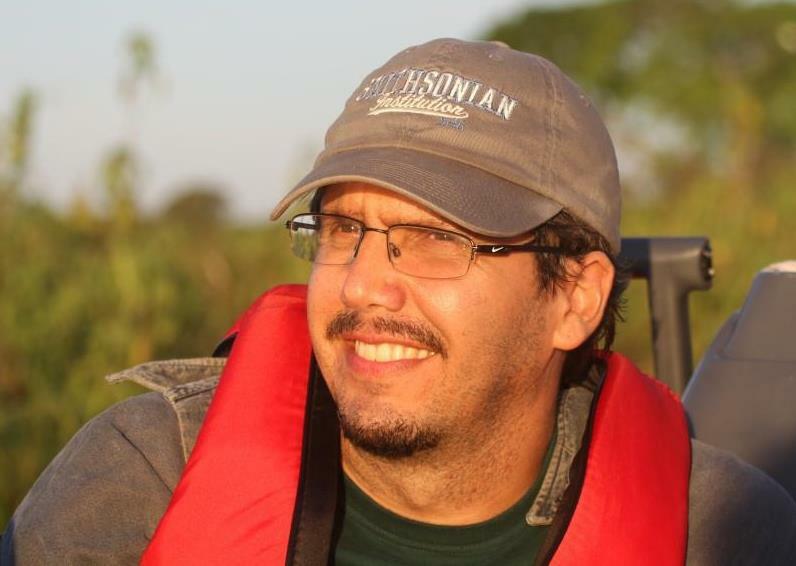 I am currently based at the Laboratory of Wildlife Ecology, Management and Conservation of the University of Sao Paulo in Piracicaba, where I supervise students and teach a graduate course on Human Dimension of Wildlife Management and Conservation. I have taught this course to graduate students and wildlife professionals also in other parts of Brazil besides Oxford, Chile, Colombia, Costa Rica and Bolivia. In the last few years, I have turned my interest to the integration of social sciences, spatial modelling, and big data analytics, and how to apply this to decision-making and systematic planning and policy, bridging the gap between researchers, planners, managers and policy-makers. As a Research Associate under the Chester Zoo / WildCRU Partnership, I will explore ways to upscale the analysis and management of human-wildlife conflict, and develop a unified framework for understanding conflict and coexistence in South America, taking advantage of a set of project partners in a wide cross-section of ecological, cultural, socioeconomic and political contexts in Brazil and Bolivia. Dickman, A., Marchini, S., Manfredo, M. 2013. The Human Dimension in addressing conflict with large carnivores. In: Macdonald D.W., Willis K.J. (Eds.). Key Topics in Conservation Biology II. Oxford: Wiley-Blackwell pg. 110-126. Engel, M. T., Marchini, S., Pont, A. C., Machado, R., Oliveira, L. R. 2014. Perceptions and attitudes of stakeholders towards the wildlife refuge of Ilha dos Lobos, a marine protected area in Brazil. Marine Policy 45:45-51. Engel, M. T., Vaske, J., Bath, A., Marchini, S. 2017. Attitudes toward jaguars and pumas and the acceptability of killing big cats in the Brazilian Atlantic Forest: An application of the Potential for Conflict Index2. Ambio doi:10.1007/s13280-017-0898-6. Frank, B., Glikman, J.A., Marchini, S. (in press). Human-Wildlife Interactions: Turning Conflict into Coexistence. Conservation Biology Series, Cambridge University Press. Cambridge, United Kingdom. Marchini, S., Crawshaw, P.G. 2015. Human-wildlife conflicts in Brazil: a fast-growing issue. Human Dimensions of Wildlife 20(4): 323-328. Marchini, S. 2014. Who´s in conflict with whom? Human dimensions of the conflicts involving wildlife. In: Verdade LM, Lyra-Jorge MC, Piña CI. (Eds.). Applied ecology and human dimensions in biological conservation. Springer pg. 189-210. Marchini, S., Macdonald, D. W. 2012. Predicting ranchers- intention to kill jaguars: Case studies in Amazonia and Pantanal. Biological Conservation 147: 213-221. Marchini, S. Cavalcanti, S. Zimmermann, A. Gese, E. Macdonald, D.W. 2010. Jaguars, livestock and people: reality and perceptions behind the conflict. In: Macdonald DW, Loveridge, A. (Eds.). Biology and Conservation of Wild Felids. Oxford Press pg. 383-402. Marchini, S., Ramalho, E., Toro-Orozco, W., Ferraz, K.M.P.M.B., 2017. 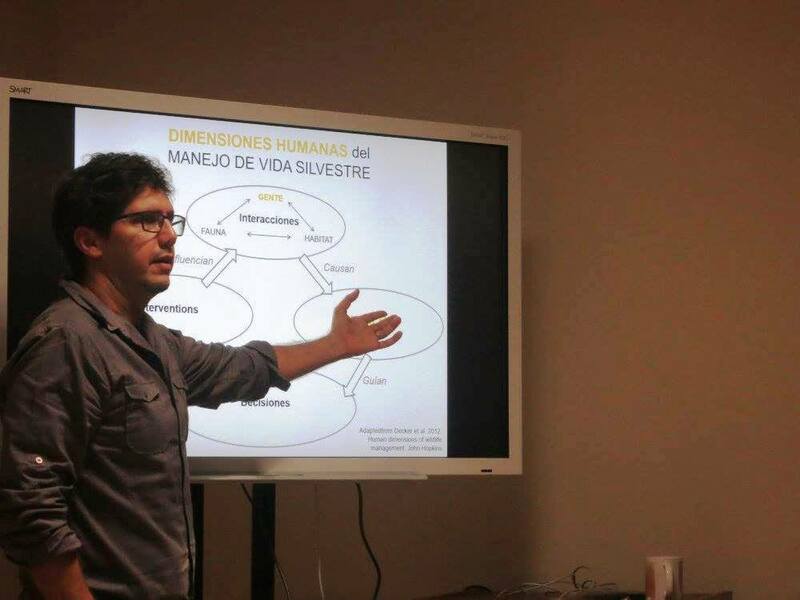 Human-jaguar conflitcs in Brazil: a human dimensions perspective. In: Castaño-Uribe, C., Lasso, C.A., Hoogesteijn, R., Payan-Garrido, E. (Eds.). Conflictos entre Felinos y Humanos en América Latina. Humboldt Institute, Colombia. Marchini, S., Luciano, R. 2009. People & Jaguars: a Guide for Coexistence. Cristalino Ecological Foundation and Panthera. Alta Floresta, Brazil. Pont, A.C., Marchini, S., Engel, M.T., Machado, R., Paulo Henrique Ott, Enrique A. Crespo, Coscarella, M., Dalzochio, M.S., Oliveira, L.R. 2015. The human dimension of the conflict between fishermen and South American sea lions in southern Brazil. Hydrobiologia DOI 10.1007/s10750-015-2576-7. Vucetich, J.A., Burnham, D., Macdonald, E.A., Bruskotter, J.T., Marchini, S., Zimmermann, A., Macdonald, D.W. (2018). Just conservation: what is it and should we pursue it? Biological Conservation 221: 23-33. Zimmermann, A., Baker, N., Inskip, C., Linnell, J., Marchini, S., Odden, J., Rasmussen, G., Treves, A. 2010. Contemporary view of human-carnivore conflicts on wild rangelands. In: Du Toit J., Kock, R., Deutsch, J. (Eds.). Wild Rangelands: Conserving Wildlife While Maintaining Livestock in Semi-arid Ecosystems. Wiley-Blackwell. 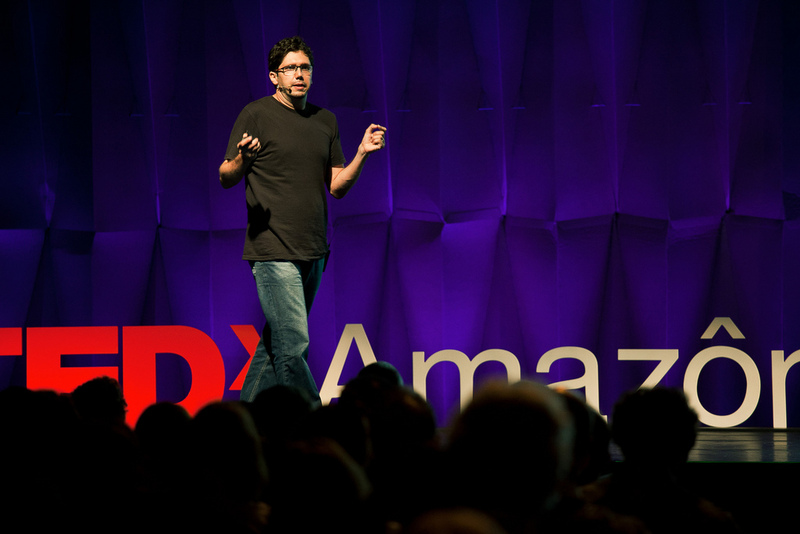 MANAUS, AM - 06 NOVEMBRO 2010: Silvio Marchini TEDxAmazonia. (foto: rodrigo fonseca).